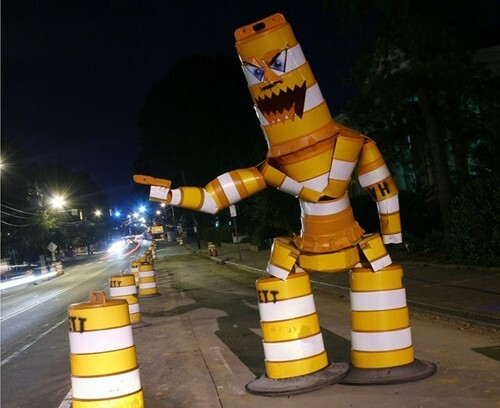 RALEIGH, N.C. – When Joseph Carnevale chopped up three stolen orange and white traffic barrels from a construction site to create a massive sculpture of a roadside monster thumbing a ride, the North Carolina college student said he saw it as a form of street art. 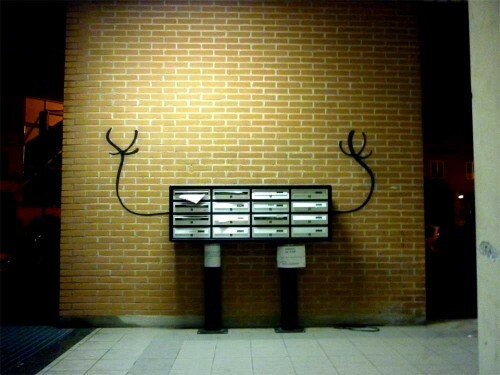 Raleigh, N.C., police just saw vandalism. They dismantled the 10-foot “barrel monster” and arrested Carnevale. Hundreds of online supporters want the charges dropped and the publicity has turned the history major and part-time construction worker into a local celebrity. Even the construction company has become a fan, and wants the 21-year-old to create a replica of the figure that led to his arrest on June 10.